Their deep, trancy, oriental goa-trance touched many hearts already and we are sure you will reach higher levels of melodic pleasure while listening to their new release: “Earthcall”. The album starts with “Terra”, a slower enigmatic track, setting the atmosphere for the remix of a classic from the previous album: “Predator”! Warm, soft and blissful music made for the dancefloor! After this RA raises the tempo and psychedelia goes to another level with two storming morning dancefloor stompers: “Sacred Sands” evokes sundown marvels, while “Crossing Planet” seems to depict a banging overdriven space trip! RA also teamed up with Menkalian (half of Cosmic Dimension) to deliver “12th hour”. Exhilarating divine melodic music full of goose-bumping twists to play at sunrise! The last two tracks bring us back to Earth: “Touch a Star” manages to make you dance hard, and give you a peaceful vibe at the same time with long vibrant melodic climaxes. “Causatum” ends the album with a deep rhythmic ambient track filled with Egyptian melodies! 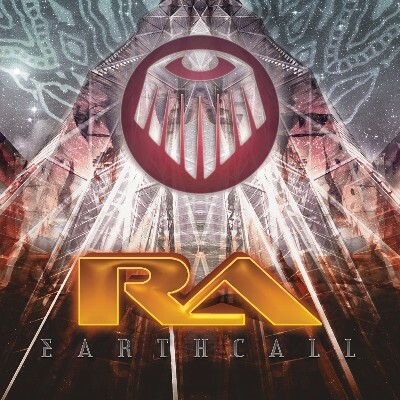 With “Earthcall”, RA wanted to show one can deliver massive amounts of psychedelia in very subtle ways. So let the Norwegian duo guide you to their alternate entrancing dimension and back!